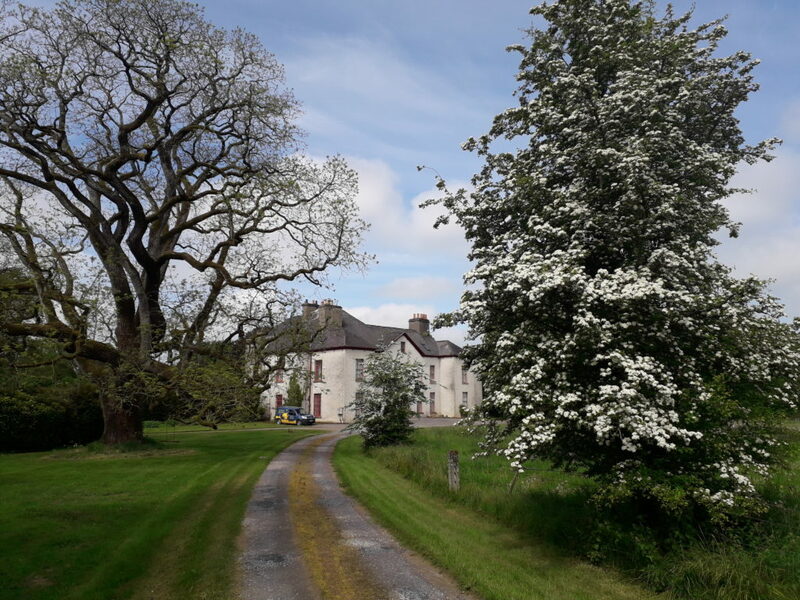 David is the 13thgeneration of his family to live in Ballykilcavan House in County Laois. Looking towards the future viability of the farm, David has launched a range of craft beers. A brewery and visitor centre is in development in the farmyard next to the house. Although primarily a tillage farm, there is mixed forestry with sufficient hardwood to provide timber for the HDG R log boiler. Storm felled trees are logged and stored. Depending on the type of timber, it is typically allowed to stand for 1 to 2 years to dry out. Occasionally this is topped up with thinnings from 20 year forestry. 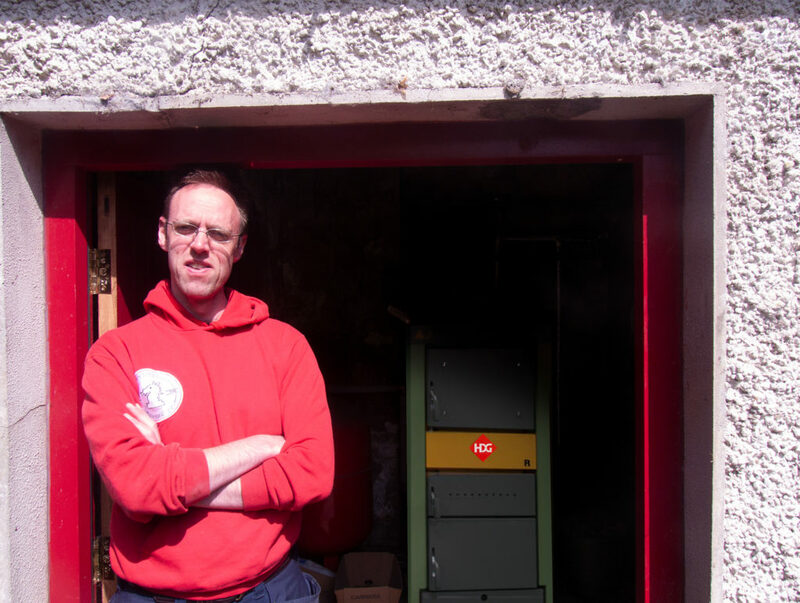 David Walsh-Kemmis stands by the door of the boiler shed that houses the HDG-R boiler and the 2000L accumulator tank. David finds it difficult to quantify the opportunity cost of not having timber to sell but reminds himself that heating the house solely with gas was prohibitively expensive and not particularly effective. The gas boiler remains in use but in a limited capacity. The boiler house rests against an outside wall of the main house. Access is down a narrow laneway and a loader brings a tonne of timber at a time to a standing point outside the door. The log boiler sits alongside a buffer or accumulator tank which stores the heat ready for distribution when needed. David lights the boiler every morning in the colder months to keep up with the heat demand. He loads logs into the chamber, lights it and then tops it up every 3 to 4 hours during the day. He acknowledges that a woodchip boiler with an automatic feed system would be less of a tie. But given the cost differential, the gas boiler as back-up and the ready source of logs, he is happy with his decision. And would he recommend Glas Energy to other potential customers? Absolutely!